Hong Kong-based deluxewords has been awarded a contract to create a new Chinese edition of Bentley Motors customer magazine in China. The new title will be produced in association with Bentley Motors China, and FMS, the UK-based publisher of Bentley’s English-languagemagazine. deluxewords is the publishing arm of Deluxe Holdings Limited and was founded in December 2010 by Daniel Jeffreys, formerly New York correspondent for BBC TV News and the Daily Mail, editor-in-chief of the SCMP’s Post Magazine and Managing Editor of Hong Kong Tatler. The tailor-made version of Bentley magazine will have a strong focus on China and the Bentley China client base, which currently has over 6500 owners. Half of the new magazine’s contents will be drawn from the English language edition of Bentley but with considerable localization, while the rest of the content will be sourced from the luxury car maker’s packed calendar of events and launches in the Greater China region. Bentley magazine joins Quintessentially Asia, SIGNED and The Fashionable Truth in the deluxewords stable of print and digital products. The new Bentley magazine will have an initial print run of 10,000 copies and will take advertising from luxury brands. The English language edition currently includes Chopard, Ralph Lauren, Franck Muller and Breitling as brand partners. Advertising sales will be coordinated by the deluxewords team in Hong Kong and Beijing. The magazine will have its official launch at the 2013 Shanghai Motor Show on April 20th, 2013. Apart from distribution to Bentley owners in Greater China the new magazine will also appear in Bentley dealerships throughout the country. The magazine’s content will be in Simplified Chinese. deluxewords already publishes a Simplified Chinese version of Quintessentially Asia magazine that reaches 15,000 millionaire households through a distribution network that includes China’s two largest private wealth management companies. Bentley Motors employs about 4,000 people in Crewe, which is home to all its operations including design, R&D, engineering and production. The combination of fine craftsmanship, using skills that have been handed down through generations, alongside engineering expertise and cutting-edge technology is unique to UK luxury vehicle manufacturers such as Bentley. It is also an example of high-value British manufacturing at its best. 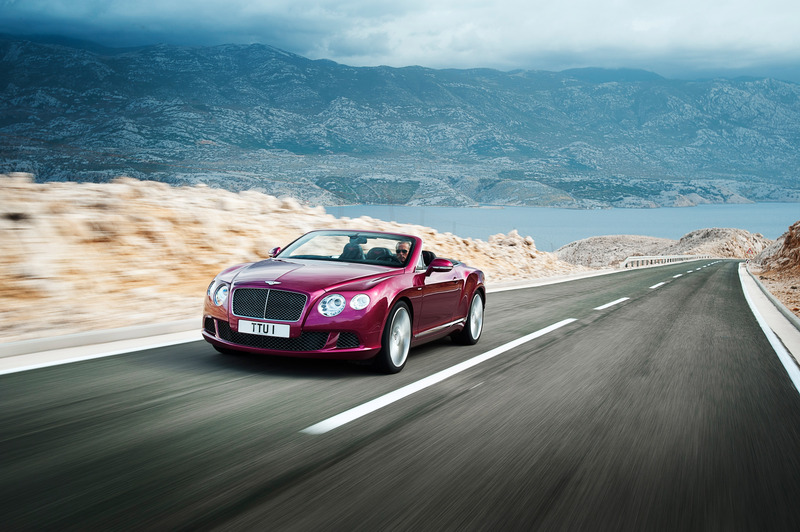 Bentley exports over £1bn worth of goods in 2012. The company is the third largest R&D investor in the UK’s automotive sector and the 18th largest nationally. From January 1 2013, Bentley Motors China has been the official importer of Bentley in China, with all key operations now led from the Greater China headquarters in Beijing. The Greater China headquarters is also in charge of the Hong Kong, Macau and Taiwan markets. The Greater China Region is now Bentley’s second largest global market, with 2,253 deliveries in 2012, representing, year on year growth of 23 per cent. FMS is a specialist contract publisher based in London and Hertfordshire that creates bespoke magazines for some of the world’s finest luxury brands, including Bentley Motors, Sunseeker Yachts, The Ritz, Quintessentially and Triumph Motorcycles. deluxewords is a Deluxe Holdings Limited company based in Hong Kong that publishes magazines, produces books, provides high-level consultancy advice for lifestyle and luxury goods companies and creates world-class written and visual content for luxury brands.